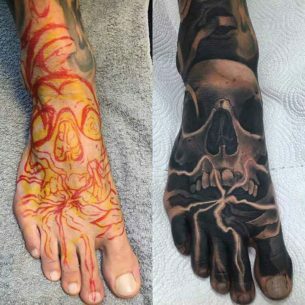 The demand of black and grey tattoos had dropped off a little bit for a while when the technique of colourful tattooing was found. 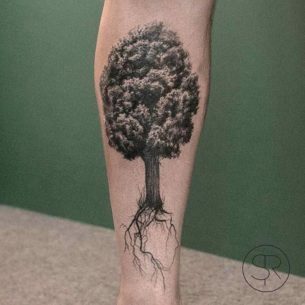 However, they still are classic and will remain in this status forever and, as a rule, the demand for vintage stuff, especially in fashion, will never disappear completely and such tattoos can definitely point out the exquisite inner world of their owner. 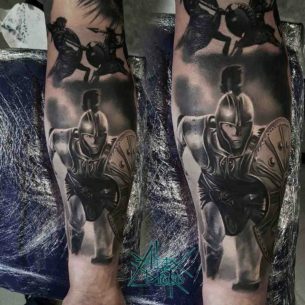 The usage of only grey colour in the tattoo design is a perfect solution for people with a modest but at the same time elegant lifestyle. 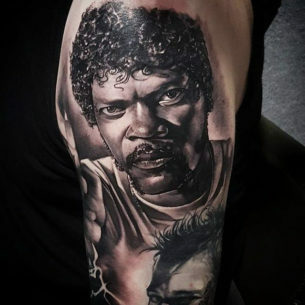 Black colour can be called the king of the tattoo art. 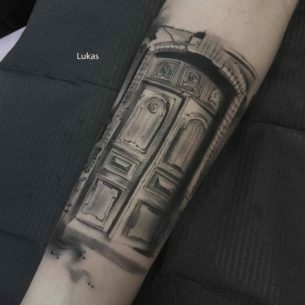 The name of the style suggests and it is obvious that its main feature is a usage of black and grey inks, as white ink originally was not used. 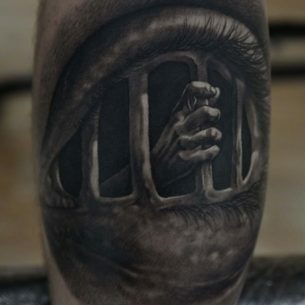 There is an opinion that black and grey tattoos came from prisoners, who used to make tattoos with inks made of cigarette ashes. 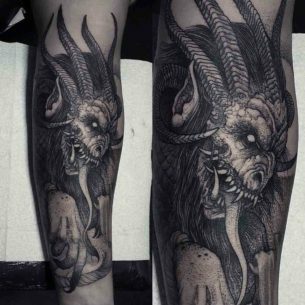 That’s probably why Chicano tattoo style, closely connected with criminal life, is full of black and grey designs. 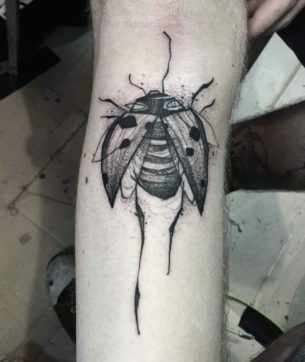 There are several styles based on usage of one colour in a tattoo art, such as dotwork, blackwork and others. 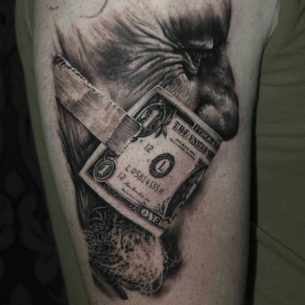 We also include into this category different kind of etching and sketchy tattoo ideas. 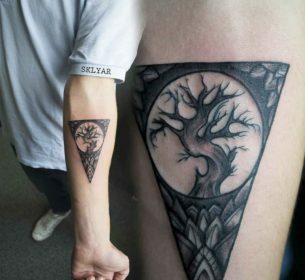 Often these tattoos look like a print in an old monochrome book or ancient drawing – primitive and plain. 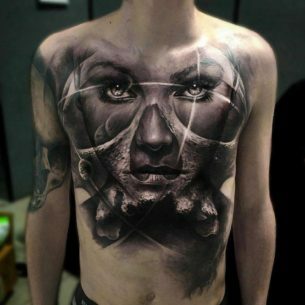 Anyway, such body drawings are peculiar as representatives of a popular nowadays minimalistic style. They are often underestimated, however, a fantasy of an artist can make the pure masterpiece even using just one colour and all its shades. Modern art pieces performed with this technique are great with the variety of ideas. 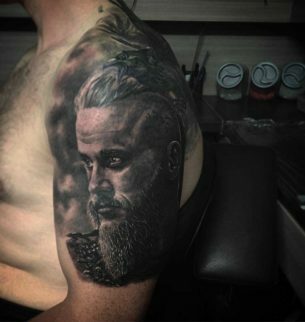 Clients of tattoo shops can choose from impressive abstract design to realistic portraits, animals, insects, flowers etc or elements of polka trash tattoo. Eastern hieroglyphs are also very popular, each of them has cool meaning full of wisdom and philosophical life attitude, and performed in single colour they gain additional elegance. 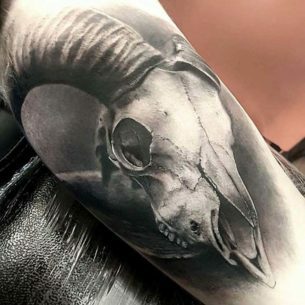 Black and grey tattoos for men can be skulls, images of beautiful women and many other ideas limited only by the imagination of the tattoo artist and the client. The designs which also look good in monochrome variant are floral ornaments. 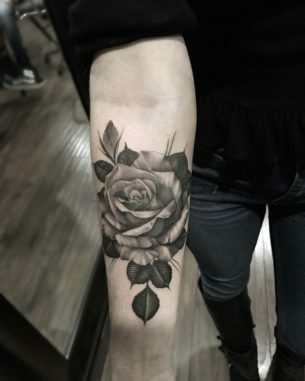 Such tattoo designs are typical for women and the fact that each of these tattoos looks marvellously awesome explains this trend and popularity of such ideas. 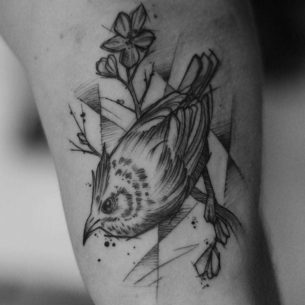 Girls would definitely like tattoos with orchids, a flower which symbolises gracefulness and feminity. And an image of peony flower is a symbol of love romance, luck and financial prosperity. 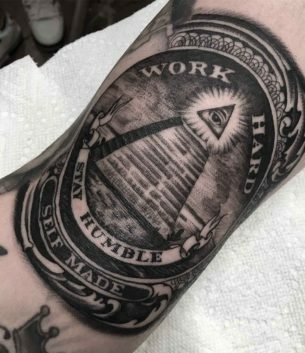 Such tattoo would give its owner a lot of self-confidence which would lead to success and wealth. According to Japanese legends, scorpion and flower tattoo can give its owner the eternal love. Black and grey chrysanthemum tattoos are symbols of happiness, joy and life full of good moments. The other symbol of people in love is a maple leave or a pair of them, which is even better. 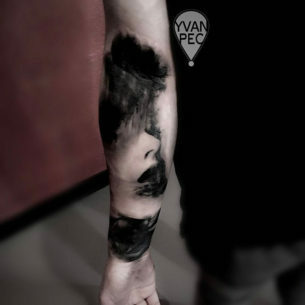 Thus, black and grey tattoos are nothing but a mix of good style and modesty. 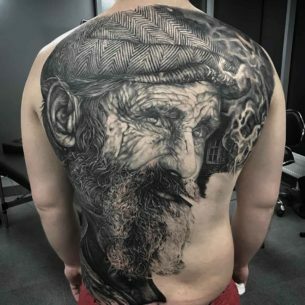 Such artworks would please your eyes for the rest of your life and will always look good no matter the time, trends and changes of fashion, black and grey is always in trend.